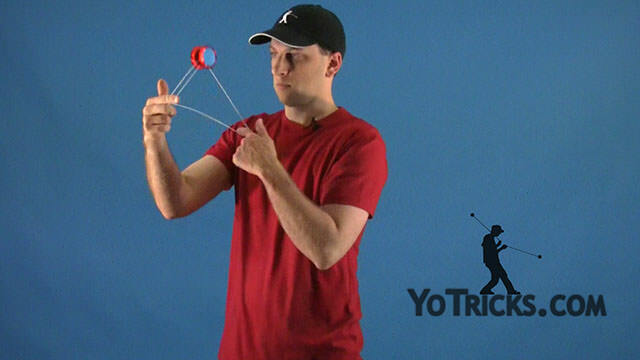 Learn about the concept of Pops for building Frontstyle Speed Combos. Pops: Vol. 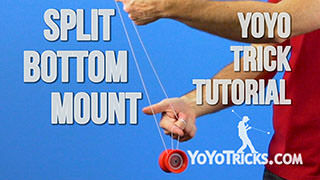 4 Frontstyle Speed Combo Series Yoyo TrickThis is the fourth video in the Frontstyle Speed Combo Tutorial Series where I will be going over the concept of Pops from a Split Bottom Mount. Now, pops are a very versatile way to not only quickly transition between mounts, but also get into new mounts from an original mount. Now, we are going to take a look at some of these new pops, you really want to make sure you know Pop N’ Fresh to better understand how we are going to use these pops to use new transitions and get into new mounts. So it really does help to master that trick. Let’s take a look at it. For Pop N’ Fresh, you take your throwhand and you cross it over your non throwhand. You may notice it lands in a Mach 5 mount. 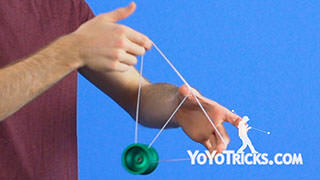 Now, you can take that same concept, however you can rearrange the order in which you hands move. 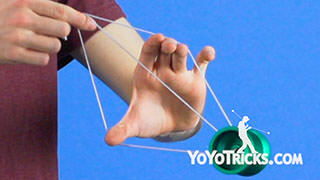 You can actually take your non throwhand and pass it over your throwhand. You will see it is in a different mount from the Mach 5. It is actually very similar to the ending sequence we teach in our Passes and Rolls video, which is very handy because that way you can use pops instead of rolls to quickly transition into new combos. So try using this technique in some of your combos and see which way you can experiment into new mounts. You can also take this popping technique and you do not have to limit it to the split bottom mount. You can take, for example, go into a Seasick mount and do Pop N’ Fresh, you will notice that you are in Double-On split bottom mount, which actually is really helpful because it removes a wrap. 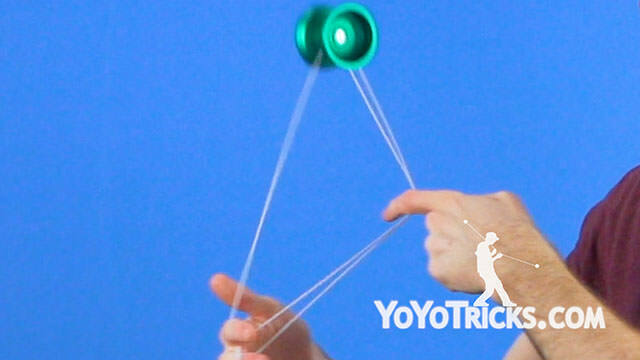 So if you find yourself with a wrap on the string and you want to get rid of it, you can simply go into seasick and do that pop, and now you have removed the wrap from the split bottom mount. You can also, from seasick, reverse your hands like we talked about earlier, and take your non throwhand and pass it over your throwhand and land it in the new mount. This is actually very similar to the roll that we talked about in that passes and rolls sequence that goes straight into split bottom mount. So, you can take these techniques and try advancing them a little bit farther. You can, for example, point your throwhand index finger away from your body as you pop up and cross your hands into an outside pop n’ fresh catch. 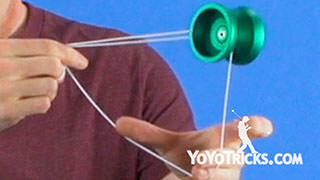 You can even do this catch from a seasick mount, and do it on the reverse side of your body. 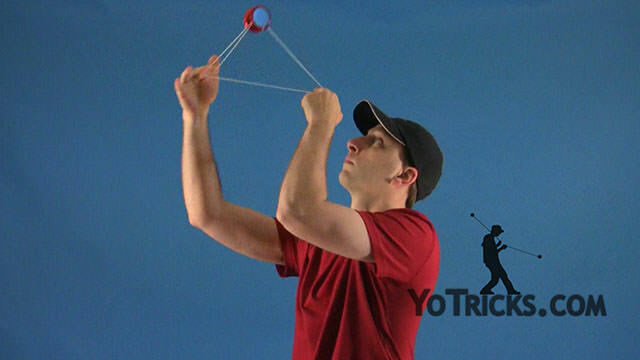 Another more advanced way to use a pop to your advantage is to actually pluck the string instead of crossing your hands when it goes up. 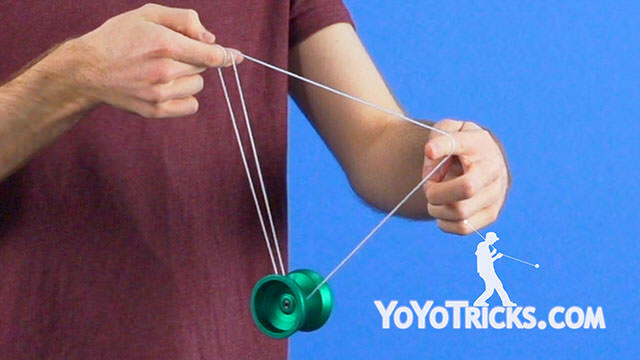 So when the yoyo is coming back down you are going to use your middle finger to pluck this top string from underneath the yoyo. You will see you get into a new mount like this. 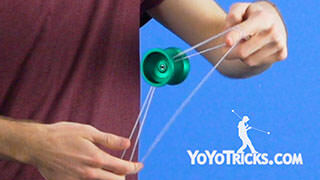 You can just drop your middle finger and you are back into a split bottom mount. And this is a really cool and unique way to add a little bit more style to your frontstyle trick and make it stand out a little bit more compared to some other ones you may see. You can even utilize this in other mounts too. 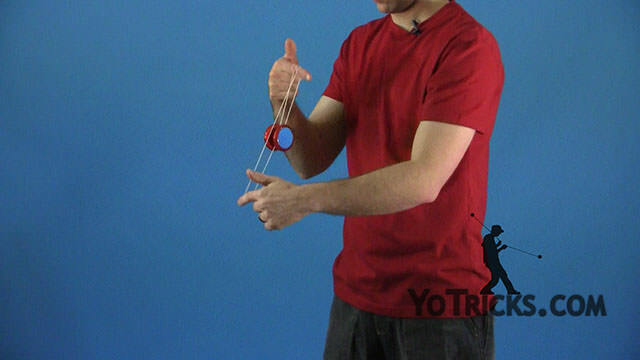 You can even combine some popping elements while crossing your hands and plucking the string to get into new popping mounts as well. 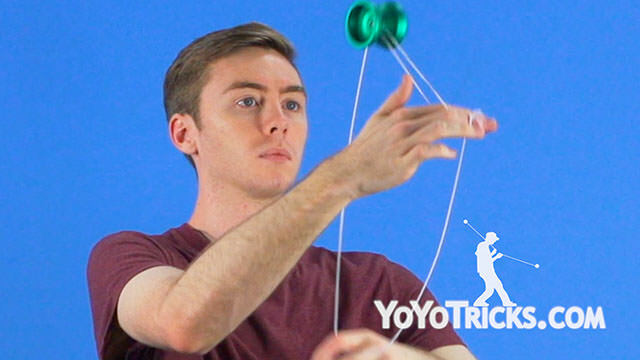 Take some of these new pops that we worked on, try combining them into other tricks that you have done, and try replacing them instead of rolls and to new transitions and you are even further into expanding your frontstyle trick set and making the ultimate frontstyle speed combo. Hey, real quick, I know this is not the kind of pop we teach in this tutorial, but it is what all the cool kids do to get into their frontstyle speed combos, and it is like, you know, I am just going to show you, I am rambling. So, you are going to pop it up and underpass, then go on the outside and underpass. Then pop it up and roll into a split bottom mount, you can keep rolling to shoot it back and underpass again on the split bottom mount. And don’t forget to bind with style, hwaaaah.